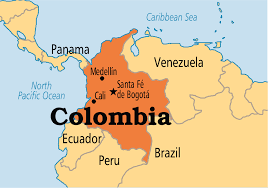 Add Colombia to the list of countries seeking ways to curtail the offering of online gambling services to its citizens by international gambling operators. Coljuegos, the country’s official gambling regulatory agency, has asked another of Colombia’s government agencies, Ministerio de Tecnologías de la Información y las Comunicaciones (Ministry of Information and Communications Technology, or ICT, in English) to block 325 online gambling-relate domains. The ICT has also published the list of the 325 domains it hopes that Colombia ISPs will be forced to block. The list includes most, if not all, of the world’s largest and most notable gambling firms, and it also includes all major forms of online gambling; the to-be-blocked domains run the gamut from online poker and casino games to sports betting, bingo and even backgammon. Many more companies of note are included, even if the list as published looks like a first draft, including duplicated domain entries and even an e-mail address or two. It’s also clear that there are dozens, if not hundreds, of gambling domins that could also have been included. The entries of the Bodog and Bovada domains certainly aren’t unexpected, but offer an extra taste of curiosity. Less than six weeks ago, Bodog announced its plans to expand over time into 14 new Central American and South American markets. Among those was “Columbia”, (which one can safely assume was supposed to Colombia, but that particular market expansion might be undergoing a bit of a rethink. Then again, announcing a blacklist is one thing; continuously updating and implementing such a blacklist is a far greater challenge. It’s not hard at all for online sites to reconfigure domain addresses, at will and virtually at a moment’s notice, meaning that it all turns into an international game of online whack-a-mole. In this case, the grey-market providers will likely be better off than those in large, well-regulated countries, such as the major European firms. Those Euro giants don’t have a lot to fear from Colombian regulators, but serving Colombia would likely put them afoul of their own host-region regulations, which often declare it a violation to willfully supply services to a “banned” jurisdiction. In Colombia’s specific case, said banning and blacklisting appears to be as much of a squeeze play for hefty licensing fees as it is about any sort of consumer protection. 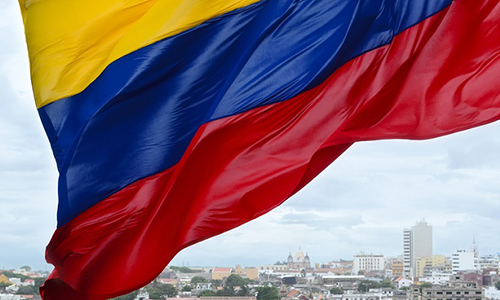 Colombia announced its new online-gambling regulatory regime late last year, but with a prohibitive 19% value-added tax (VAT) on player deposits. The proposed VAT tax has since been dumped and replaced with a more direct licensing arrangement, but most international operators appear to view the Colombian licensing proposal as too pricey to be worth the bother. There’s a secondary ripple effect that might play out should Colombia’s proposed blacklist become reality. The country’s resonable proximity to the United States has made it one of the more popular destinations for American online poker players seeking to play online amid the US’s own large-scale blockade against the activity. Colombia’s far from the top such destination, but its low cost of living, short travel distance, good party scene, and other factors have drawn anywhere between dozens and hundreds of poker-playing émigrés from the States. Those players could be forcd to relocate again. Or, perhaps, the blacklist proposal will fall apart. It doesn’t appear as if Coljuegos really wants to implement the blacklist, if it can find a way to force international online operators to cough up what the country believes is a reasonable license fee.